This is Mr. Duke. 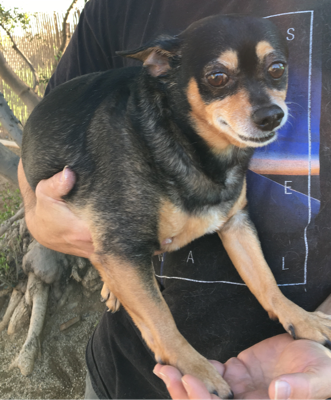 He is a 7 year old Chihuahua with a great temperament. He is good with other dogs and likes to ride in the car. He is about 10-12 lbs. His owner passed away. Mr. Duke is looking for a loving home.